The Newfoundland Mountains are a 20-mile (32 km) long mountain range located in southern Box Elder County, Utah. 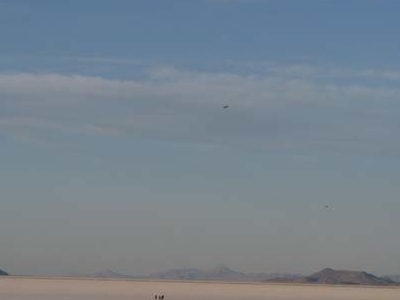 The range is the only 'island' mountain range encircled by the Great Salt Lake Desert salt flat. Other ranges protrude into the desert salt flat, the Silver Island and Dugway Ranges being the premiere examples. Other individual mountains also arise as 'island' peaks, or mountains in the salt flat desert itself, most notably Granite Mountain in the South Desert, and Wildcat Mountain to its north. Granite Mountain lies at the north of the Dugway Range. The Newfoundland Mountains are crescent-shaped, mostly only 3-mi wide, and its closest neighboring landform across the salt flats, is 6-mi northeast from the northeast range terminus, the Hogup Mountains. 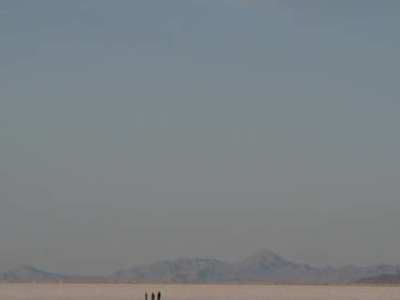 The southern tip of the range lies on the north perimeter of the Utah Test and Training Range. Here's the our members favorite photos of "Mountain Ranges in Utah". Upload your photo of Newfoundland Mountains!